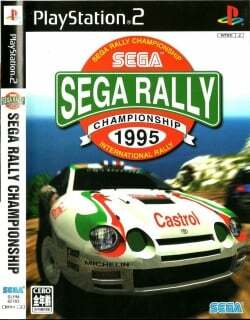 Game description: The unique selling point of Sega Rally is the ability to drive on different surfaces (including asphalt, gravel and mud), with different friction properties, with the car's handling changing accordingly. As the first racing game to incorporate this feature, Sega Rally is considered to be one of the milestones in the evolution of the racing game genre. The game is a direct port of the original 1995 arcade game developed by AM5 on the Sega Model 2 board bundled with Sega Rally 2006, and has a 480p option for a progressive capable display. It does not have a wide screen option. Runs near full speed., In gsdx hardware mode, graphics are black and white and broken. Looks fine in software mode. This page was last edited on 21 September 2016, at 20:07.